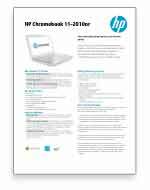 With the HP Chromebook 11 running lightning fast Chrome OS, the best of Google is at hand on a colorfully sleek and stylish notebook. 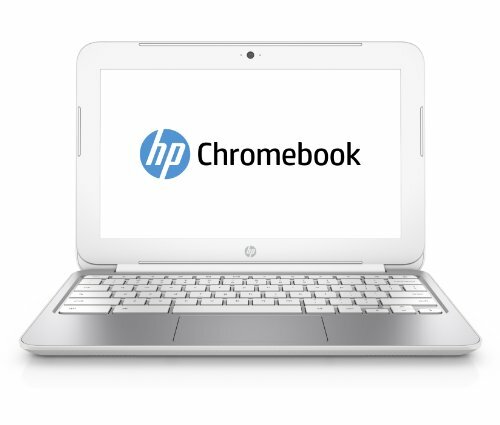 Access your favorite websites and Google apps instantly on a beautiful 11.6-inch diagonal HD display. 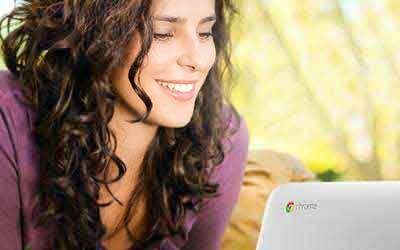 Auto-synch your data and stay connected everywhere with built-in WiFi and up to 100GB of Google Drive Storage. 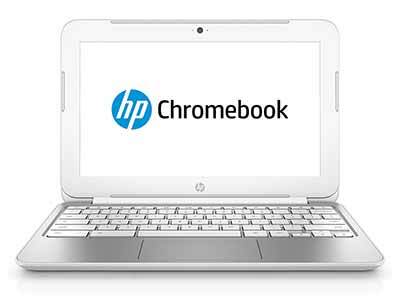 The HP Chromebook 11 is equipped with all your favorite Google apps like Gmail, Drive, and YouTube right out of the box. 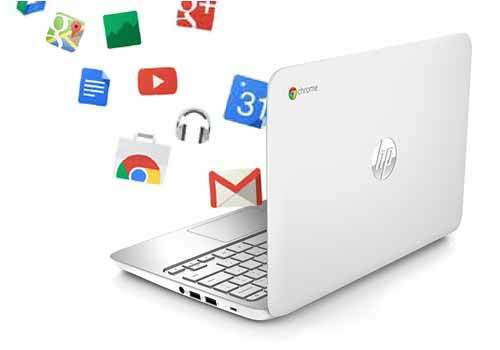 Access the Chrome Web Store for thousands of the latest games and productivity apps. Game, browse, and work in an effortless environment unlike any other. 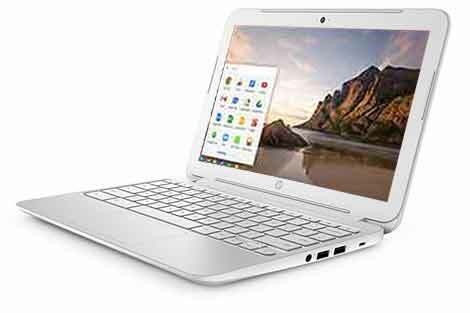 Take the HP Chromebook 11 from your desk to the great outdoors while browsing the web, streaming videos, or using the latest Chrome apps, thanks to 802.11n WiFi. 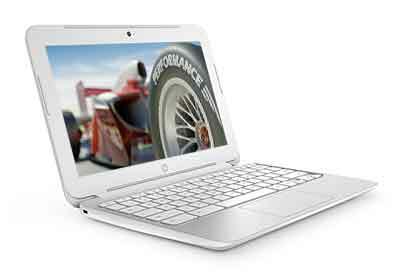 Soothing exterior color in Snow White, encasing a full keyboard and touchpad – all impressively blended into a thin and lightweight notebook. Be prepared and avoid unexpected costs when you enhance and extend your protection beyond the standard limited warranty with HP Care Pack Services. Coverage options include accidental damage and even theft.